The 50 stories in this book are all little jewels, little excerpts, from everyday life. All the stories relate an experience that gifted me with learning about myself and life’s expanded meaning. The format for this book is intentional—by design. I did not want to write an intellectual work that required the reader to devote extended periods of time reading dense chapters. 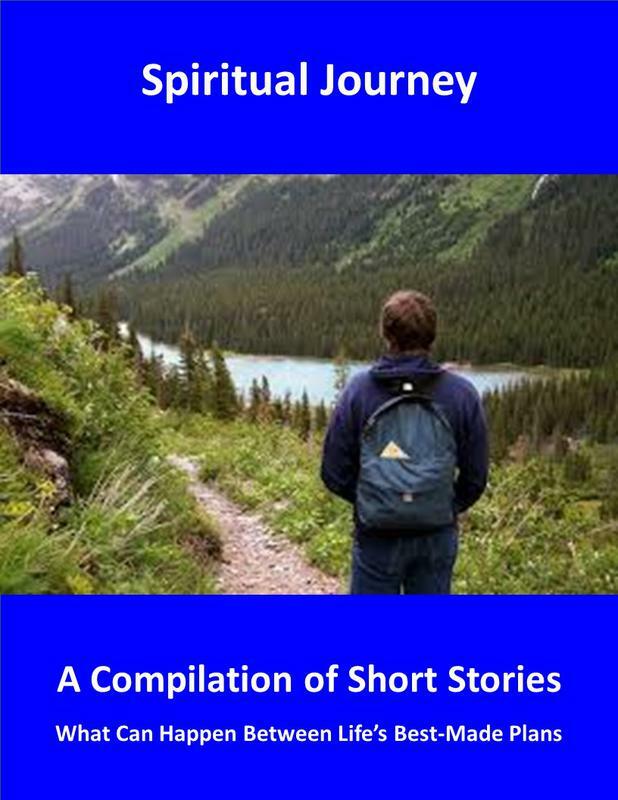 I wanted to create light short stories that could / would be read in 5 minutes or less, most anywhere: waiting in a line up; in the kitchen while preparing a meal; in the washroom as you take care of your daily rituals; in a taxi or on the bus; or while taking a break from work. Read as many stories as you like in one sitting; or just one at a time. Read them in order, or jump around to those that pique your interest the most. Above all else, enjoy and savour the wisdom offered through our most precious moments and gifts—what happens between life’s best-made plans. Once we receive your payment, we will email you the electronic version (PDF format) of the book. residents—including a transient community of drug addicts. door to the house had a large window in it so you can see who was standing on the front porch. before. She looked bedraggled and was carrying a straggly clump of flowers. get some money from me to support her drug habit”. I opened the door and said, “Hello”. “Hi” said the woman on the front porch. “I have no money to buy flowers. I would like to make a bouquet of flowers for my friend who is attending a funeral this afternoon and I was hoping I could have some flowers from your garden”. Her eyes were sunken. Her face was drawn. She spoke with a slur. She was clearly someone whose life had presented her with hardships. Her body language was nervous and expectant; I sensed she was expecting me to tell her to go away. As I took in her greeting, her story, her request, and her physical image, an energy started to build in the middle of my chest. This energy caused me to stand up straight and my heart to open. I could feel the energy course through my body. All of this was seemingly instantaneous. “You can help yourself to any flowers you would like”, I said. She looked at me, her face started to tremble; her knees buckled and she collapsed to the porch floor, sobbing. I knelt down, put my hand on her shoulder and said, “Wait here, I’m going to get some scissors so we can cut some flowers together”. I raced to the kitchen, grabbed some scissors and bolted back to the front door. On my way to the front door, I grabbed a fresh bouquet of flowers sitting in a vase by the front door (my partner and I always keep a fresh bouquet of flowers on a table by the front door). I walked out onto the front porch with the bouquet of flowers. “Here; these will get us started. Now let’s go into the garden and cut some more flowers for your bouquet”. Our guest had picked herself up off the porch floor and was drying her tears. We walked down into the garden and I asked her to select some flowers she thought would be nice for her bouquet. We had Echinacea, Black-Eyed Susie’s, Lavender, Lilies, Daisies, and a medley of other flowers to choose from. As we were cutting flowers for her bouquet, I asked her who had died. She explained a friend who was a heroin addict “did not make it”. She shared that she too was a heroin addict but that her recovery was going well. She went on to share that she was making the bouquet of flowers for her friend who was going to the funeral in a couple of hours. The family of the deceased would only allow immediate family to attend and that while her friend was not immediate family, she was planning to attend the funeral anyways because she had been by the bedside of the deceased for the last two weeks of his life, while his immediate family had disowned him. We spent about 10 minutes cutting flowers and she shared some of her life story with me. I was taken by her gut-wrenching honesty and candidness. After gathering a large bouquet of flowers I asked, “How does that look?”, as I held up our marvelous bouquet and smiled. “Great!” she said, with an equally big smile on her face. As she took her new bouquet of flowers in her left arm, she held out her right hand, and with a glorious air of confidence said, “My name is Grace”. “Grace, indeed”, I said (smiling). I asked her if I could give her a hug. She teared up and embraced me. We held on to each other for a good 10-15 seconds—it felt like much longer. “Off you go”, I said smiling. “Your friend has a funeral to get to”. “Thanks”, said Grace. She turned, and started walking away. 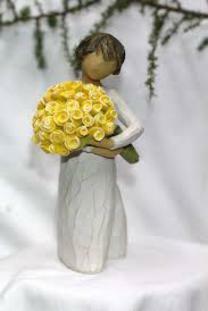 I watched her walk down the street, wiping tears from her eyes, and holding her new bouquet of flowers in her arms. When Grace rounded the corner at the end of the block, I walked back up the front steps. When I reached the top of the steps, I noticed a couple of flowers Grace had left behind from her original bouquet. They must have fallen to the porch deck when she collapsed in tears. My initial thought was “I must run after Grace to give her these flowers”…and then I thought, “No, I think I’ll leave them here to remind me of the angel that just dropped by to pay me a visit”. Many of our faith traditions teach us that in giving we receive; equally, what we want to possess we must give away. Both these concepts may seem like paradoxes at best, and contradictory at worst. Yet, on this day, Grace was a divine teacher who gave me far more than I could ever hope to give her with a bouquet of flowers. Grace’s spirit remains with me to this day.